Great breakfast sandwich | Another Beautiful Day in Paradise! 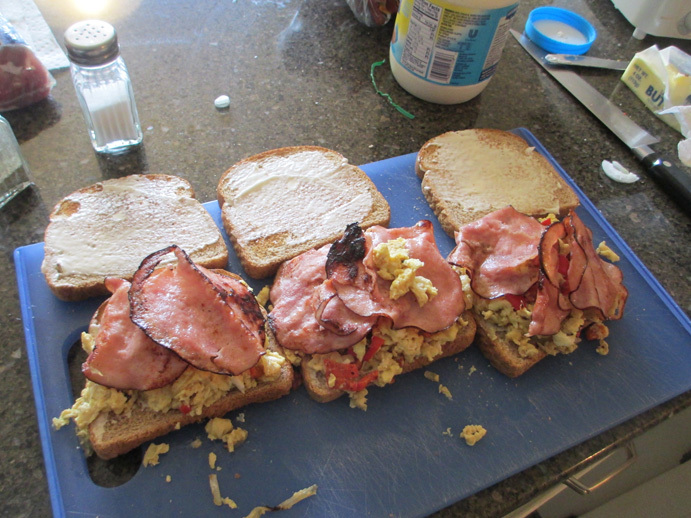 This entry was posted in Food, Life and tagged breakfast, eggs, Food, ham, mayonaise, peppers, sandwich. Bookmark the permalink.